Home / Blog / Gen Con 2014 - the ultimate round-up! 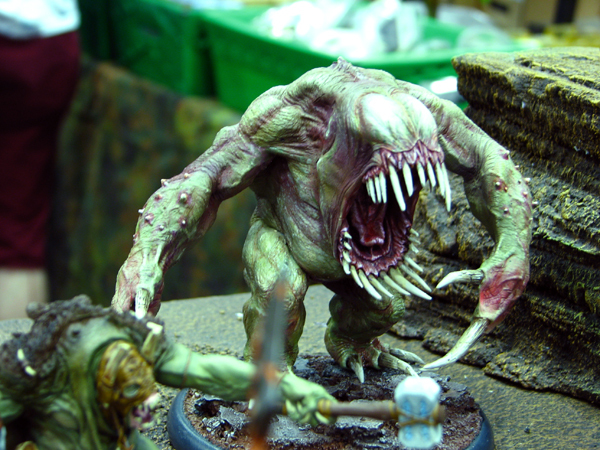 Gen Con 2014 - the ultimate round-up! Between the 14th and 17th of August every year, a flock of gaming enthusiasts descend upon the beautifully-named Indianapolis in North America for a convention that grows bigger and bigger, with no sign of stopping... it's Gen Con! As Wales-dwelling Cardiffians, attending Gen Con is never a likely event, but for those of you who'd like to know what happened, we've been surfing the web and our favourite blogs to see what people thought and we've put together a round-up of all the things that would've made us jump up and down if we'd been there! Pathfinder fans were buzzing about this year's Advanced Class Guide and next year's announcement, too: Occult Adventures. The Skull and Shackles card game was also a hit, but the biggest news of all was the future Pathfinder game for tablets, which will be made in conjunction with the video game guys who brought us Fallout: New Vegas. Exciting! 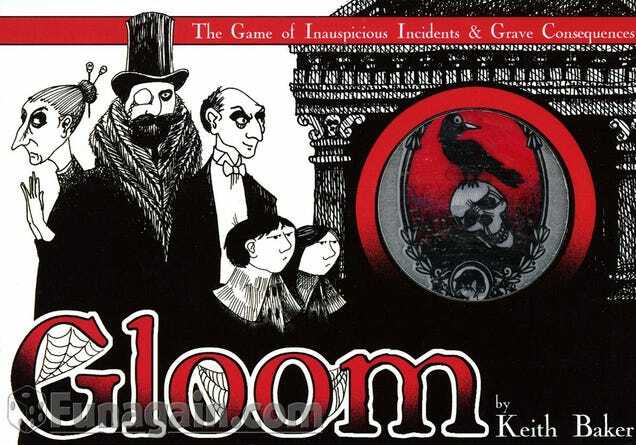 Our award to 'coolest merge' goes to Steve Jackson's Munchkin and Atlas Games' Gloom. If you're a fan of little games and horrific humour then you'll LOVE this! It's an early announcement, so keep an eye out for updates! Kickstarter sure had a helluva good time at Gen Con - loads of finished projects were there and available to buy, including 13 True Ways, Primeval Thule and Roll For It! The guys at Shut Up and Sit Down were at Gen Con (naturally) and came back and filmed a hilarious video for all their fans to get the low-down on the convention! They interviewed some of their favourite cosplayers and game designers. They even found a game that looks incredible, called Zombie 15, where you have 15 minutes to escape the city full of zombies and there are times when you're playing in 'real time' - your character only have a minute to search a house in the game, so you only have a minute to search for a certain card! Yikes! See the video here. The Escapist Magazine were also at Gen Con (not jealous... not at all...) and promptly filmed this video upon their return, which also comes as an audio-only version. They talk about Warhammer: 40k, Star Wars: Armada, and the game Archer, based on the TV series of the name name. In other news, a game called Cones of Dunshire was played, too - some of you may recognise it as the not-so-imaginary board game from the popular American TV sitcom, 'Parks and Recreation'. Dreamt up by the character Ben Wyatt, the game is loosely based on Settlers of Catan, and Mayfair Games made a fictional character's day when they brought it to life and showcased it at this year's Gen Con! Fans of the show/the game turned out in droves to watch, with charity tickets being auctioned off within 6 hours! Read more here. This 'Mighty Meep' article is a Gen Con round-up on its own, and brings us some very exciting news - Munchkin's going steam punk, and with a new artist at its helm too! King of New York also played the rounds and looks very promising, with the removal of Victory Points and the addition of new mechanics fixing its predecessor's flaws. 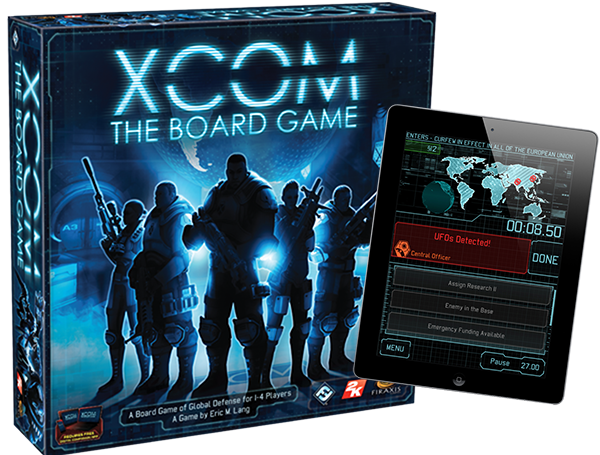 Here's another blogger with a fantastically written post on their time at Gen Con, including their experience of waiting hours and hours to play XCOM, and whether or not it was worth the wait - 'Abso-friggin-lutely', apparently! They also give us the skinny on the 'digital boardgaming' trend developing in the industry and every bit of Star Wars they could see. If their previous video wasn't your thing but you still want an experienced eye, then Shut Up and Sit Down have also published a text-only post highlighting their 'Favourite 7 Games From Gen Con '14 and One They Were Disappointed By', which goes into great depth on games like XCOM, Dead of Winter, and their drunken playing of Sheriff of Nottingham. There we have it - the ultimate round-up of round-ups for you to leap into with gleeful abandon! This is just some of the stuff we found from our internet-scouring, but there's a whole heap of it out there! Did you find anything cool you think we might've missed? Please feel free to comment below!